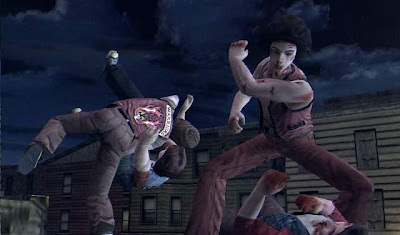 -I think I quoted the name of the Japanese gangs as "bousouzuka" when it's actually "bousouzoku". Whenever I get around to revamping the Kunio article I want to include a quick dictionary of some of the terms related to this subculture. 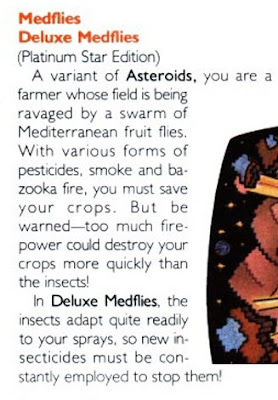 -All versions of Renegade are awful, but the Euro-exclusive, Natsume-developed Sega Master System port is the least awful. Maybe the upcoming 3DS remake will be better, but it sounds ridiculously thin given that it's a retail release. Yes, it is awful. Here's a longplay to show you why. 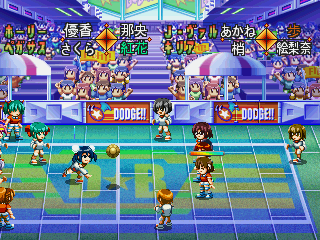 As you can see, it's more or less identical to the Kunio dodgeball games, but with an all girl squad. On an unrelated note, www.hardcoregaming101.net seems to be busted and I don't know why...I'm assuming it's something with the domain registrar. In the meantime, the direct URL, http://hg101.kontek.net will work OK. Same deal with the Castlevania Dungeon - http://castlevania.kontek.net is good to go. What an excellent day for Go Daddy to screw up, right on the 25th anniversary of the series. In fact, hopefully you can view this post through somewhere that isn't just a news reader. I guess we'll see! UPDATE: Turns out my ISP is having issues with DNS forwarding, or something like that. So if you have Optimum Online like I do you may have issues, otherwise it's business as usual! 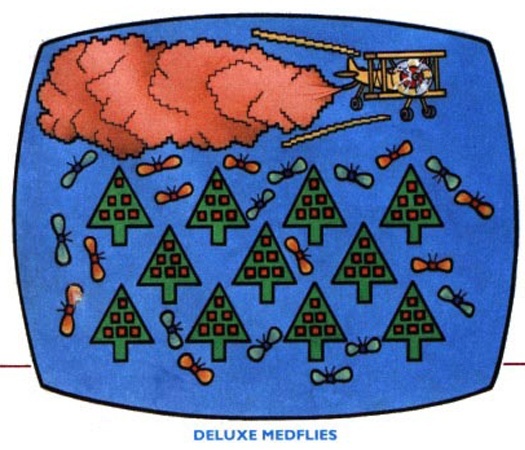 Toejam and Earl is such a befuddling game. Most mascot-type characters of the era starred in side scrolling platformers, while these two goofy aliens starred in a bizarre pseudo Rogue-like, a term I wasn't familiar with when I first played it at the age of thirteen, but nonetheless came to appreciate. Of course, the sequel went a more typical route (though still quite different from similar titles) and isn't as fondly remembered for it. 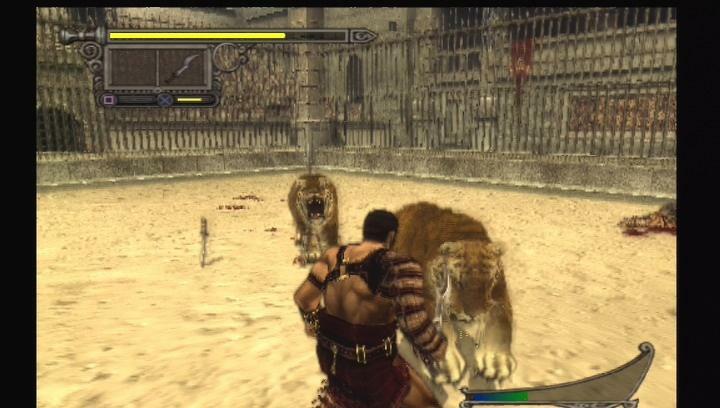 There was a third game for the Xbox, though no one much cared for it. Picking up the shooter coverage this week is Sol Divide, the one Psikyo shooter that is entirely unlike all of the other games the company put out, and is generally hated on for it. That doesn't entirely mean it's understood - it's an ugly, strange mess of a game that almost flatly deemphasizes shooting over melee combat, but it is an interesting one, at least, especially with the good-idea-bad-execution RPG-type story mode in its PlayStation and Saturn ports. 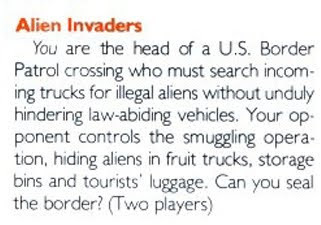 This one did make it to the US thanks to budget publisher XS Games, although it was a dirty hack job that took out half the dialogue, forgot to translate the rest, and chopped out the ability to save your game, making the RPG mode entirely useless. 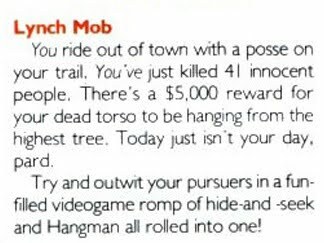 I'm also putting up three articles from the adventure game book. One of the reasons I'd started playing practically every adventure game I could find was to hopefully stumble upon something that was as good as the LucasArts classics. Sadly, nothing quite reached the same heights, but that doesn't meant there weren't any decent games. Flight of the Amazon Queen is a goofy Indiana Jones knockoff; Teenagent, despite the goofy game, is an eminently amusing game from Poland; and The Gene Machine, the final game by the developers of last week's kusoge, is the funniest take on Victorian England I've ever seen. 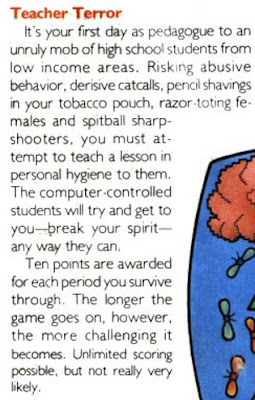 The first two are easily accessible nowdays, with Amazon Queen being both freeware on the PC and available on the Apple App Store, and Teenagent available for free from GOG.com. 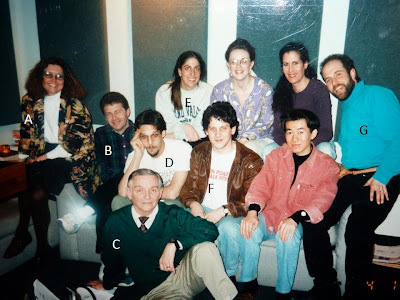 The Gene Machine is lost to time, however, but it's well worth tracking down regardless. Our kusoge this week is Lifeline, which attempts to represent the future of gaming by making you command the onscreen character with words rather than joystick movements. Despite its forward thinking, it totally fails just because the technology isn't even remotely up to snuff. Too bad. 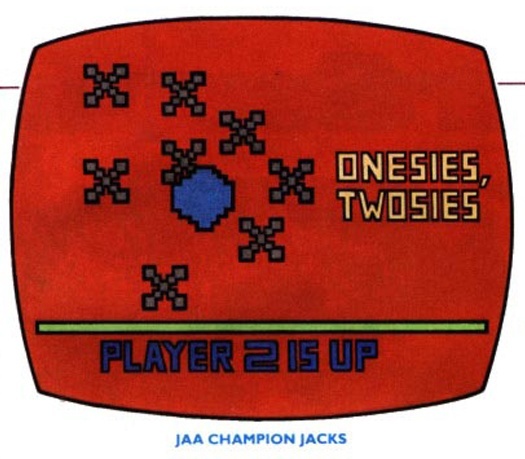 Originally published from 1981 to 1985 (and resurrected later), Electronic Games was one of the first periodicals devoted entirely to videogames (as they wrote it as one single word). In their March 1982 issue (#3) they had "A Humorous Look at Some Unlikely Future Videogames." I'm sure what they came up with was terribly funny in 1982. Some of it still is. But you know what'd be even more fun? Digging their "ridiculous" ideas up now and see how many of them have since been made into actual video games! Now their descriptions are sometimes awfully detailed and represent to a degree the technological status of 1982, as well as the general state of the industry, so we'll be counting games that follow the same general concept, or even just include the proposed main elements (after all, games have grown more complex in general, and many of the ideas on their own would nowadays be dismissed as overly simple). Do comment, of course, if you know any more fine examples. 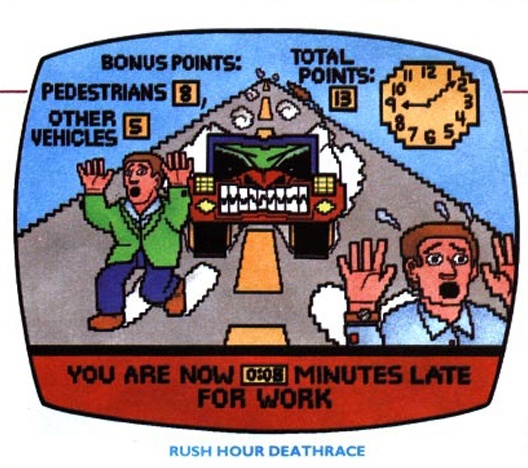 While not following the "exact" same story premise and they don't (predominantly) take place on the freeway, the Crazy Taxi games would be an almost perfect fulfillment of the basic idea for the gameplay. 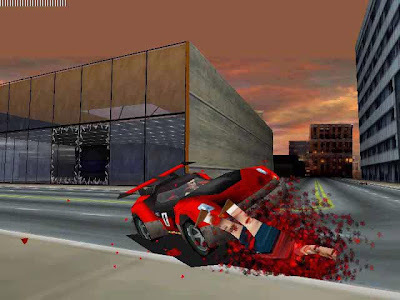 The screenshot that I think was supposed to go with it (although it gives the game a different title) on the other hand looks much closer to Carmageddon, while it also resembles the top-down view GTA games in their habit to distribute points for killing pedestrians. Holy crap, that's a risque concept! 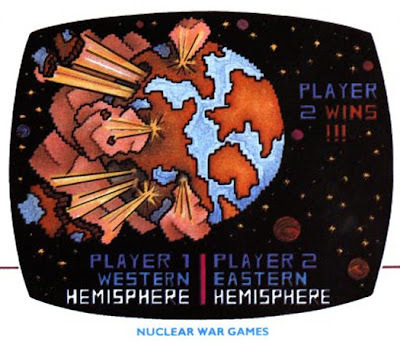 I still don't think we'll ever see that one in a commercial game, unless you count X-Com. 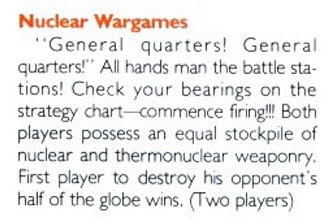 I vaguely remember nuclear weapon technology being somewhat of a big deal in Civilization as an optional research, then later the nuclear strike in Command & Conquer as a straight wargame? Nowadays nuclear war in video games sounds almost trivial, doesn't it? This is kinda a cool concept, like a slasher movie with one player being the mysterious killer and the other one of the potential victims. Could somehow work as an online game where the two (or more) players genuinely have know means of knowing who's the killer, and that card is dished out randomly at the beginning of each round. I'm sure there must be something like that at least as an optional mode in any game, even if lacking the prom night scenario? They really could have foreseen this, couldn't they? Double Dragon, River City Ransom, GTA, Mafia, The Warriors, whatever. Next! Maybe for Harvest Moon 25: Industrial Edition? Gladiator games are legion, too. 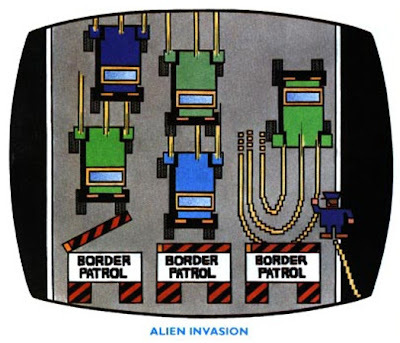 This started very early on with games like the 1986 arcade 1-on-1 fighter Gladiator, more recently we'd gotten Gladiator: Sword of Vengeance and Colosseum: Road to Freedom, some of the Asterix games, too. 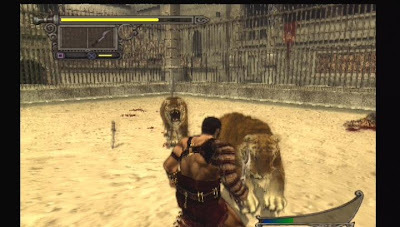 Shadow of Rome even tied the fights into a huge epic narrative, sporting the complete package of wild animal fights, gladiator rumbles and chariot races. The latter have been explored quite frequently as well (Computer Circus Maximus, Coliseum, Ben Hur 2000, Circus Maximus: Chariot Wars). I think putting players in control of the wild animals would be new, though (or maybe there's an unlockable in one of the aforementioned games that I don't know about). The whole Christian convert angle promises hilarity, too. Why hasn't this concept been exploited more often, actually? 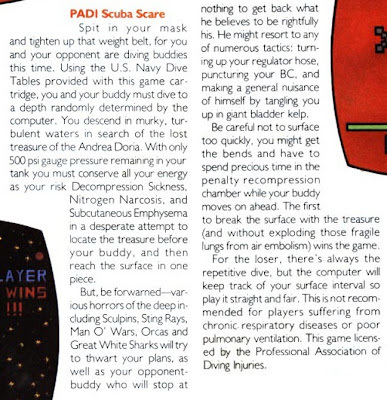 There are a couple of diving-themed games for 8-bit systems, but most are rather simple shmups. 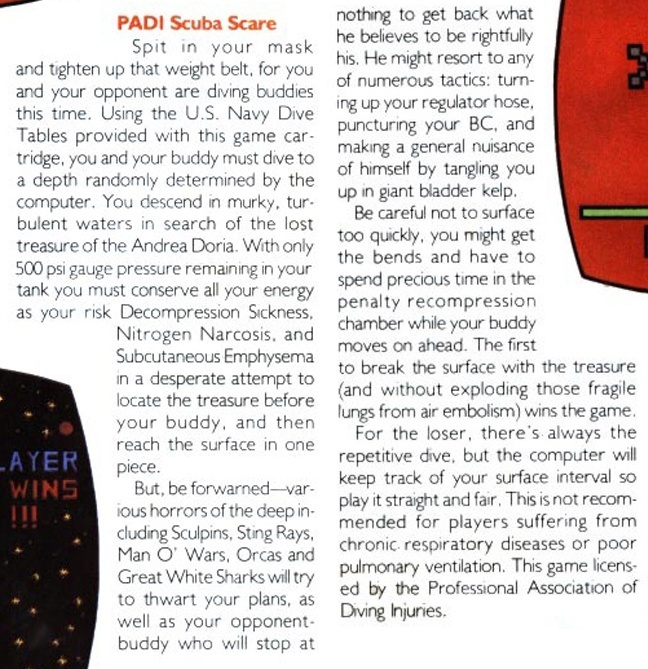 The only true simulation is Sea Rogue, released in 1992, where the actual diving is just one part of the whole expedition you have to plan from the ground-up, including hiring divers, scientists and engineers. The rival here is always CPU-controlled, though. Afterwards many games have dabbled with stages where you're diving for treasure, from Super Mario 64 to Ninja Gaiden (Xbox), but a modern, competetive diving action/simulation? Hell, yeah! 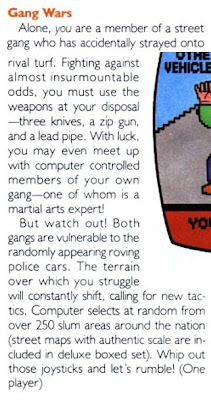 This is also kinda contained in GTA (although you're hunted by the feds there, they're just as bloodthirsty as soon as you hit a 2-star wanted level). Done in Life and Death (the sequel carries the even more fitting subtitle The Brain), in an even more macabre manner than it is described here. Take Trauma Center for the less tongue-in-cheek approach. Political simulations with a focus on corrupt activities are typically set not as close to home, favourably in fictional third-world or communist countries (Tropico series), or in historical settings (Merchant Prince). 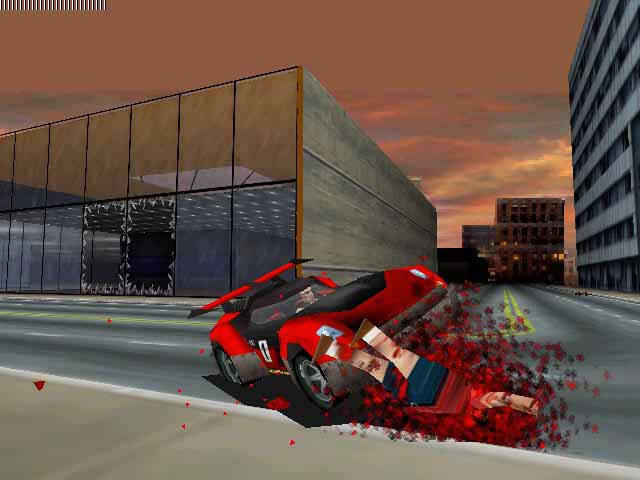 Actual game screenshots borrowed from Abandonia (Life & Death 2), Strategy Informer (Shadow of Rome, The Warriors), Mobygames (Sea Rogue) and Game Breakers (Carmageddon).